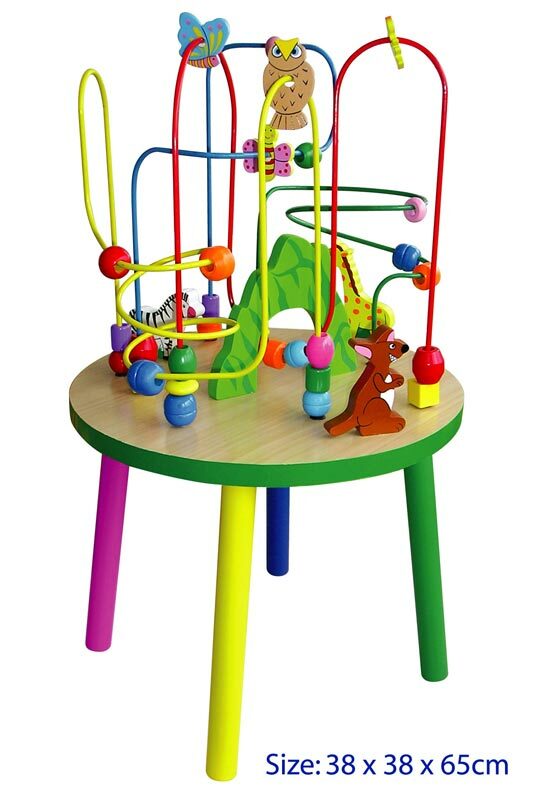 Little children can have hours of fun with the Wire Bead Maze Table. Children can share the fun of zooming wooden beads through a challenging maze. Removable legs, so it can be placed on the floor for babies. Children learn: Hand-eye co-ordination, Colour recognition and Counting.